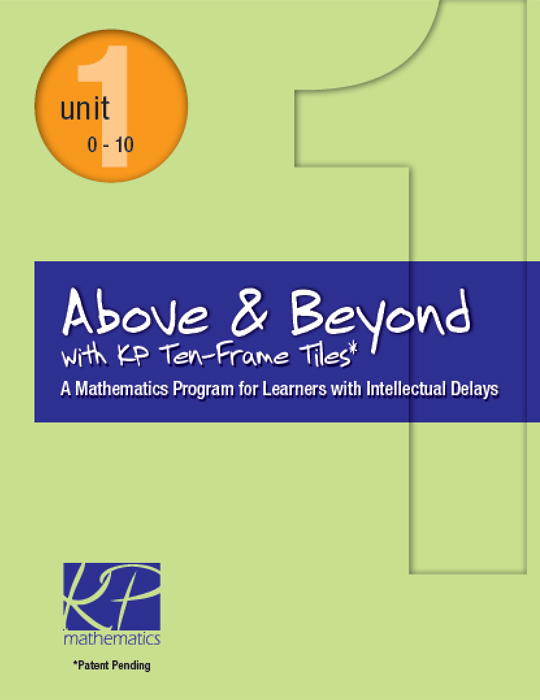 Above & Beyond integrates mathematically sound content, strong instructional design, and cognitively appropriate adaptations to support students with significant cognitive delays. 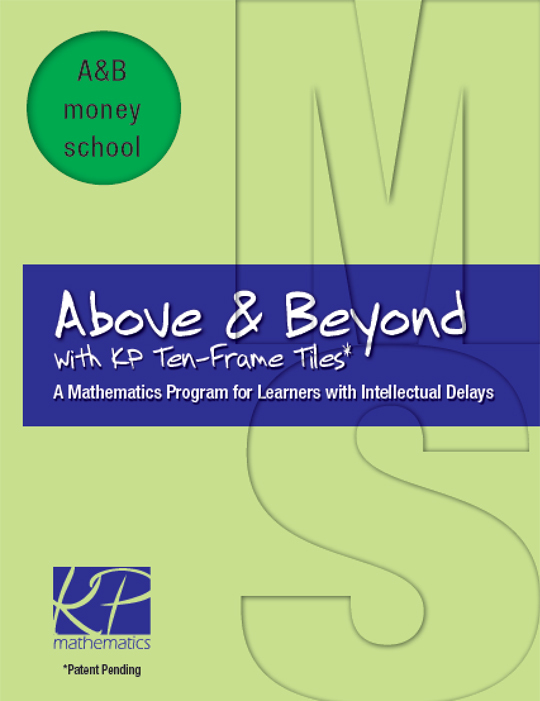 Learners who may never advance beyond elementary number skills use KP Ten-Frame Tiles to build competencies necessary for in-school learning and beyond-school independence and autonomy. 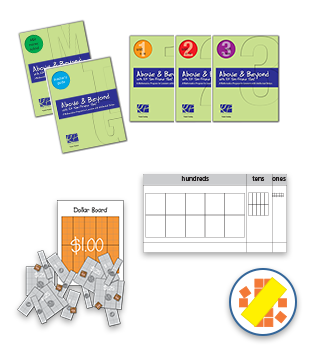 Ranges from pre-counting through place value within 1000, addition & subtraction within 1000, and multiplication within 100, meeting the needs of students in a variety of settings and with a variety of IEP goals. 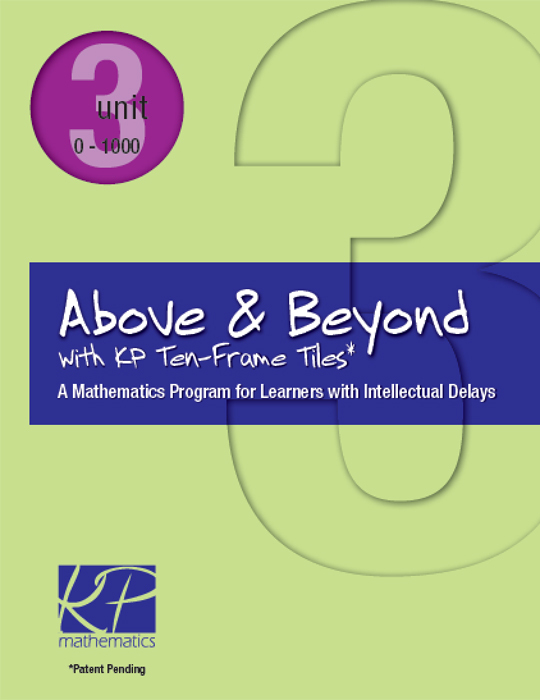 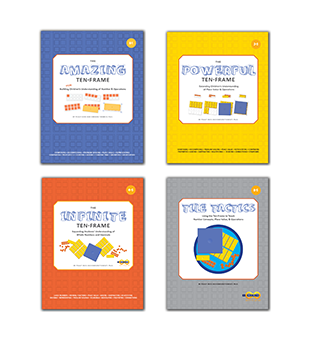 Uses KP Ten-Frame Tiles as tool through which students experience the mathematics. 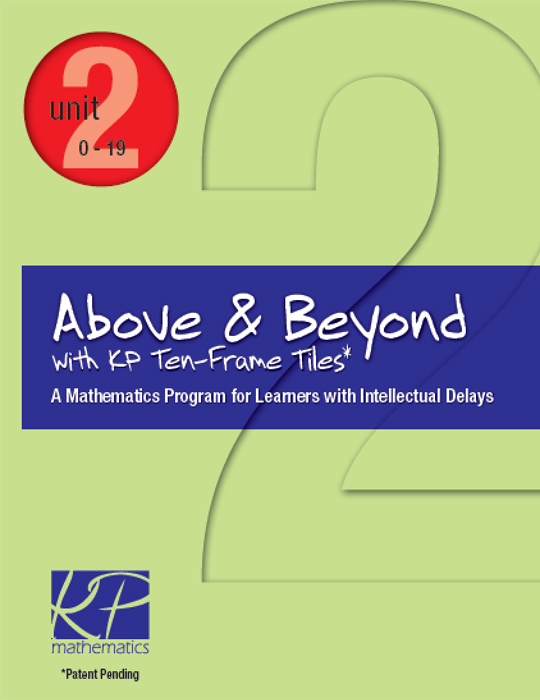 Focuses strategically on number, place value, and arithmetic operations. 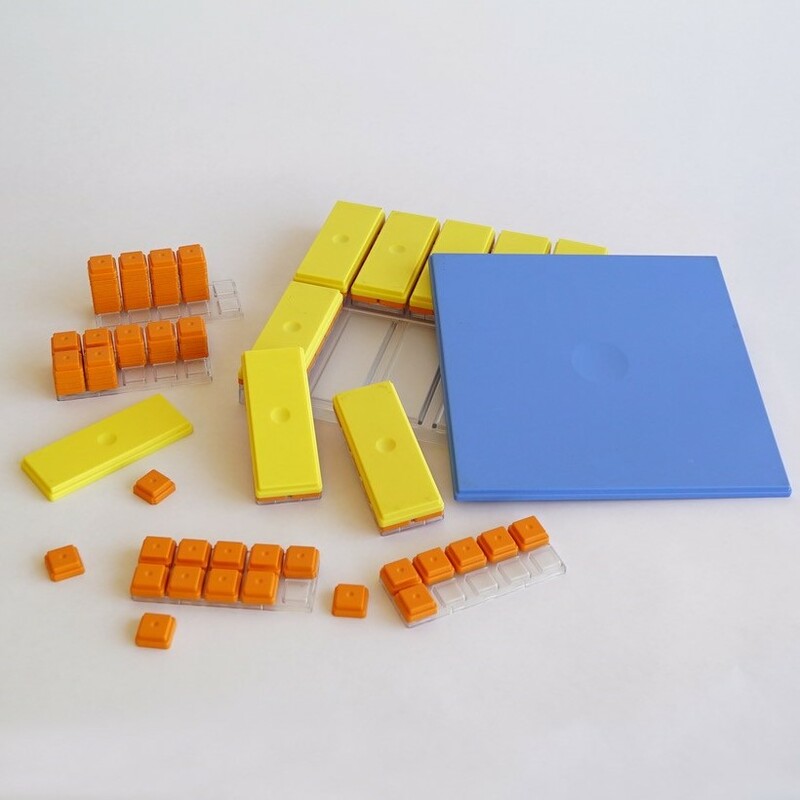 Organizes content in increasingly large numbers sets: small numbers (0-10), teen numbers (0-19), two-digit numbers (0-99), and three-digit numbers (0-999). 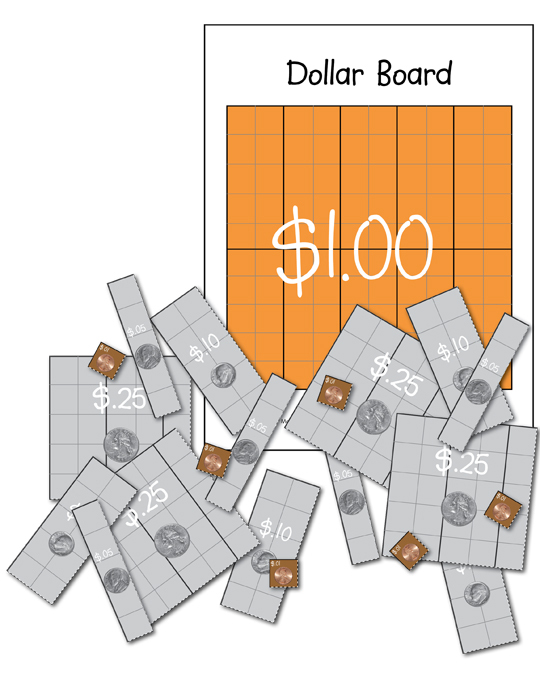 Teaches skills needed for functionality with money, using ten-frame-based Dollar Boards and Coin Boards. 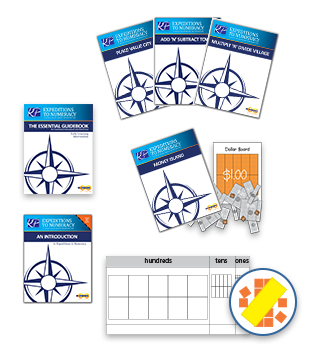 Uses on-going assessment to measure demonstrated learning. 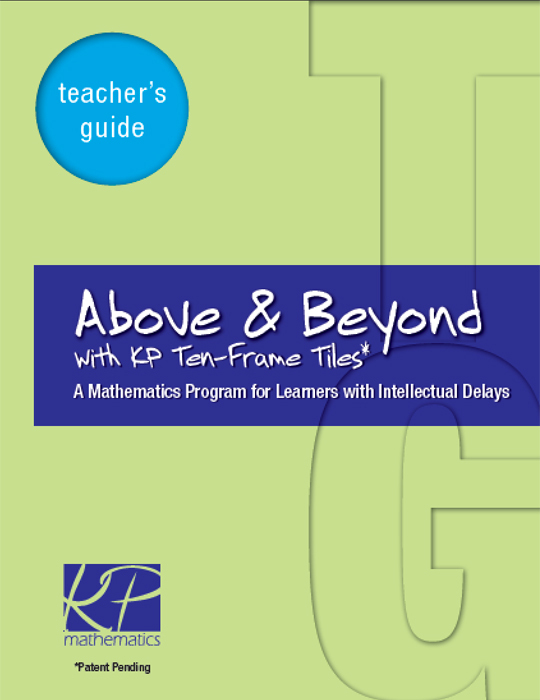 Provides lessons for one-on-one and small-group instruction.